Since the early 1900s, the Board on Agriculture & Natural Resources has served the United States as a unit of the National Research Council. BANR's work largely revolves around providing expert advice on "issues of food and fiber production and related matters of natural resource development, including forestry, fisheries, wildlife and land and water use." On the organization's website, visitors can learn about the events it sponsors (such as conferences and meetings), its reports, ongoing projects, and its well-known Animal Nutrition Program. 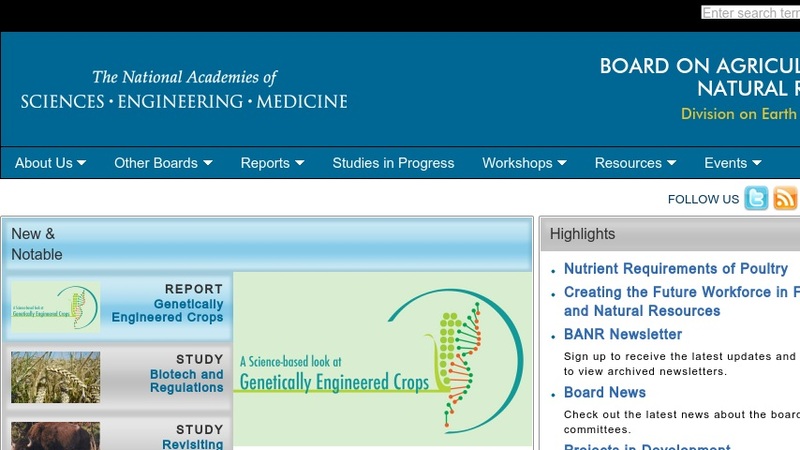 The report section is well-developed and visitors can view recent works dealing with genetically engineered organisms and the nutrient requirements of nonhuman primates. Cat or dog lovers will definitely want to take a look at Petdoor, which serves as a guide for pet owners who would like information on specific nutrient needs for their animal.